Performance is an art, not a science. But as in all art, there are techniques to learn, especially the subtle ones, which can bring it into the realm of masterpiece. First you must learn to sing well. Duh. It matters... if you are screaming, if you have a weak "spread tone" or you don't articulate well, your performance will not be a masterful one, even if you are a media star. We've all heard about the stars that gave publically humilating performances from time to time. They usually go on to take vocal lessons, recover and deliver master performances like Taylor Swift did on the last awards show. Then you must learn to work the stage, within your genre and personality comfort levels. This could mean staging, choreography, or just learning to stand still without looking bored. But singing well and moving well is not enough. You must connect with the audience. Take my student Lyndsey Highlander. Her first public performance was not long ago. She sang really well and she is well-coordinated within the "groove" of the music. But like all fledgling acts upon their first tries, she still had some things to learn. Her second performance was last week at 3rd & Linsley (a Nashville club). I suggested something she was already on to... that she forget about her nervousness and completely focus on the audience, one person at a time. I've never seen such a jump in performance ability. She had them in the palm of her hands, and as pro singer Leslie Ellis and I sang bgvs behind her, I felt like a proud mama. Lyndsey was rewarded with her first standing ovation... not just from friends but from all present in the room...for her second public show!! One final piece of advice: When you perform, you must connect through the song to the audience. If you just connect to the audience, but not to the lyric first, you will not elicit nearly as deep an emotional response. Remember... connect from yourself, through the song, go the audience, one heart at a time. And if you get the chance, go watch Lyndsey Highlander perform! I just saw the movie Mama Mia. I can't help but think Pierce Brosnan should have come to see you before filming. :-) He seemed on pitch, but his vocal control (or something) was lacking. That said, he got by because he connected so well with the music. He seemed like he really meant it. Your post reminded me of that because your first tip was learn to sing well. IMO, his performance, though masterful, would have been more enthralling if he had mastered the mechanics of singing first. Haha... 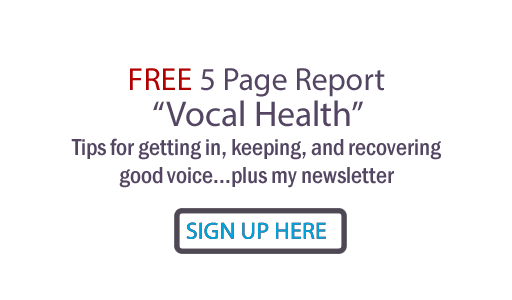 Thanks, Leigh Ann; singing well should be mastered well before singing! But it is also amazing how the lack of technique can be compensated by knowing how to connect through the music to the listener and still be judged, well, "well"! Great blog, all true. I paid lip service to singing in the early days, but once I 'found my voice' by singing improved out of site. I've been a public speaker as well as performer for many years and learned how to work a crowd and find a current topic that ropes them in away from the clinking of glasses and chatter. The only artist in recent times that I have seen who doesn't really engage the crowd is Elton John. He does give a full 3 hour performance and is so well loved that he gets away with it. If you did that as an opening act, you probably wouldn't get invited again. I so agree, Luigi. New artists certainly need to be able to move an audience. Legendary artists like Elton John, Bob Dylan, etc can draw the audience just by their celebrity presence. But usually, stars are legends BECAUSE they are not only great artists but also masters at connecting to their audiences. lovely indeeeeed... and a great time always when we get to make music together, Lynds. You are so rocking- I am sure your Vegas show was killer! I loved this write up - putting your heart and soul into things is how we make it masterful. Doing what we love! I was excited to find your site, I saw you on StumbleUpon! Your song Until I Met You - Holds a very fond memory in my heart forever! Hi Susie... thanks so much for the Stumble! I want to highly recommend your art and your blog to all my readers at http://soul-to-soul.com .